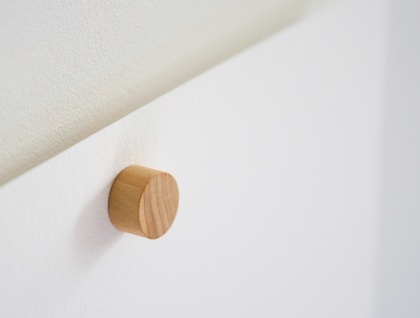 These clever little magnetic hangers are perfect for displaying and attaching artwork. 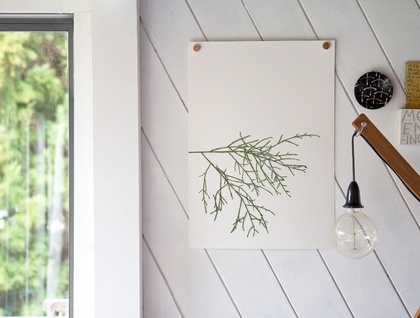 They are kind to both your artwork and your walls, leaving no marks or holes on either surface. 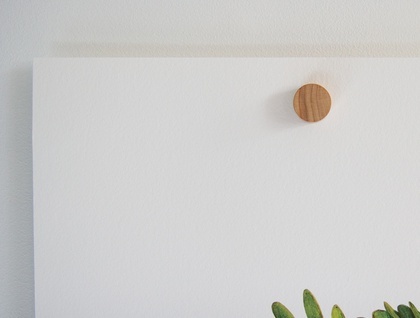 A 3M Command strip allows the magnetic hanger to be neatly positioned anywhere on your wall and when you are ready for a change it is easily removed without damaging the wall. Please see Command Brand for more info. 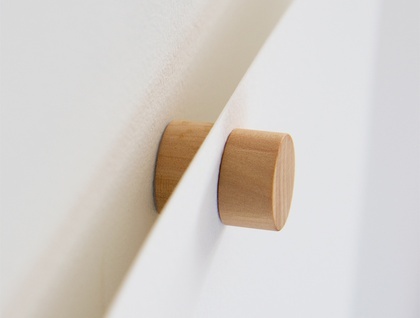 A single hanger will hold an A4 or A3 sheet of heavy weight paper or card. For A2 and larger we recommend using two hangers. They are handcrafted from either Beech or Oak depending on availability. Price is for two pairs of magnetic hangers. We handcraft all our products. Due to the unique nature of the wood, minor variations in design will occur.